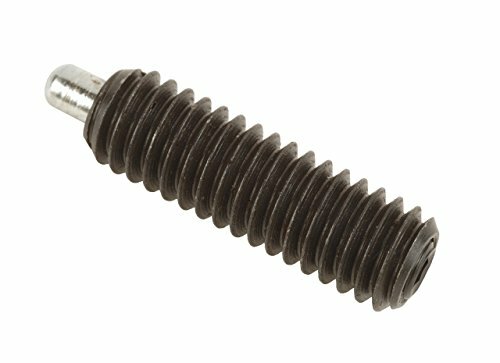 Morton heavy pressure spring plunger made of black oxide finish steel. Comes with heat treated black oxide steel nose. Plungers equipped with nylon pellet for positive holding. Ideal for locating or positioning applications. RoHs compliant. 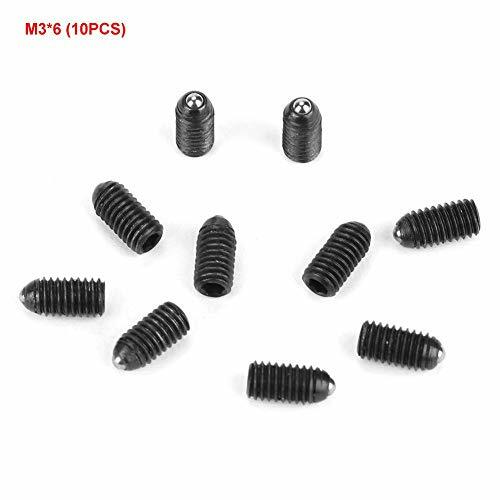 1/4"-28 thread, 1/8-inches thread diameter, 1-inches thread length, 1-3/16-inches length, 0.119-inches nose diameter: +0.000/-0.002 tolerance and 3 pounds start, 8 pounds half and 13 full end. 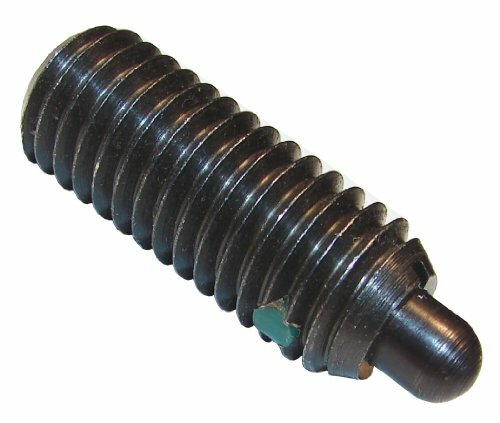 Morton heavy pressure spring plunger made of black oxide finish steel. Comes with heat treated black oxide steel nose. Plungers equipped with nylon pellet for positive holding. 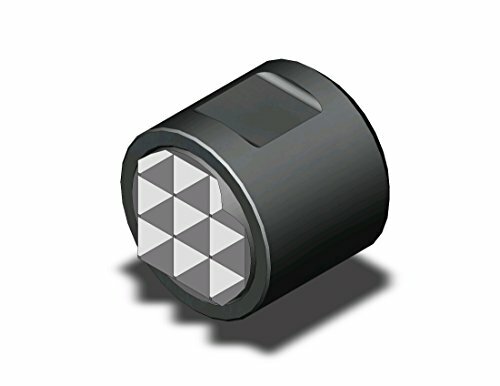 Ideal for locating or positioning applications. RoHs compliant. 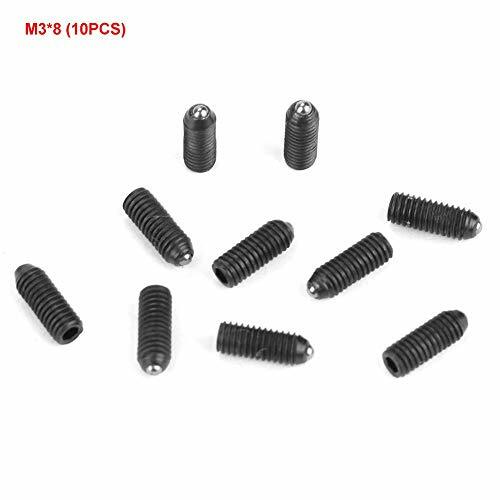 #8-32 thread, 1/16-inches thread diameter, 5/8-inches thread length, 23/32-inches length, 0.07-inches nose diameter: +0.000/-0.002 tolerance and 2.7 pounds start, 5 pounds half and 7.3 full end. Spring-loaded plunger that locks in retracted position. To lock, pull knurled knob back and turn 90?. Standard plunger has a slight taper on plunger tip for easy alignment. Also available with a radiused Delrin plunger (slightly larger plunger diameter and lighter spring force). Available in steel or stainless steel. Made in USA. 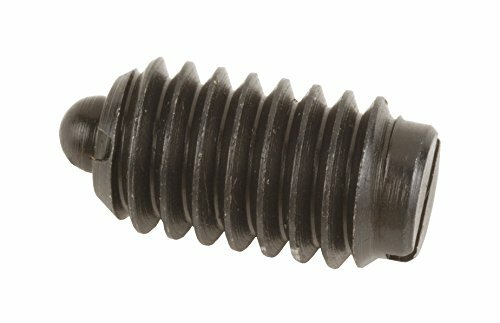 Morton heavy pressure spring plunger made of black oxide finish steel. Comes with heat treated black oxide steel nose. Plungers equipped with nylon pellet for positive holding. Ideal for locating or positioning applications. RoHs compliant. 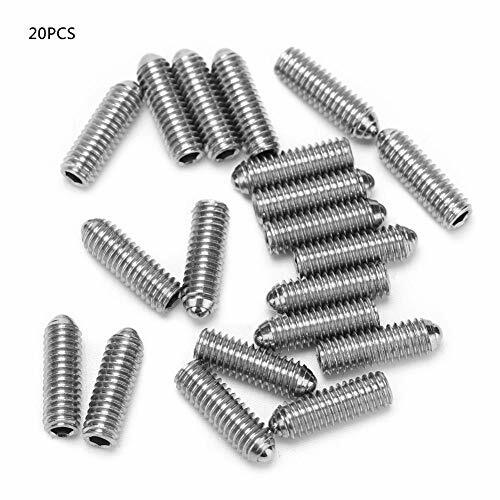 3/8"-16 thread, 3/16-inches thread diameter, 1-1/8-inches thread length, 1-5/16-inches length, 0.186-inches nose diameter: +0.000/-0.002 tolerance and 5.5 pounds start, 10 pounds half and 14.5 full end. 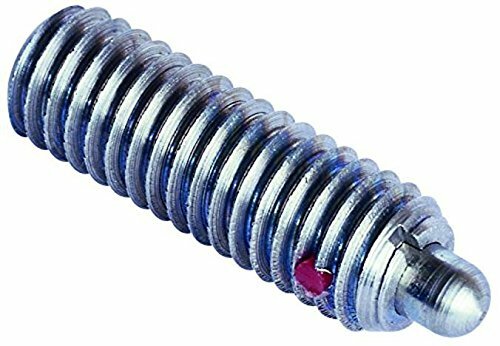 Morton heavy pressure spring plunger made of black oxide finish steel. Comes with heat treated black oxide steel nose. Plungers equipped with nylon pellet for positive holding. 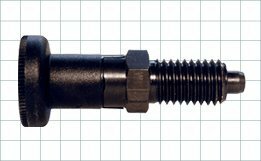 Ideal for locating or positioning applications. RoHs compliant. #6-32 thread, 3/64-inches thread diameter, 17/32-inches thread length, 19/32-inches length, 0.046-inches nose diameter: +0.000/-0.002 tolerance and 1.5 pounds start, 3 pounds half and 4.5 full end. Precision indexing plunger with a attractive knob handle for convenient retraction. 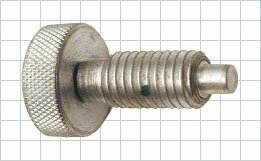 Threaded-body version provides adjustment and can be secured with an optional Jam Nut. High strength and durability in an extremely compact assembly. Hardened and ground plunger. Tip has a slight taper for easy alignment. Available in two types, locking and non-locking. CARBON STEEL MATERIAL The spring plunger is made of carbon steel material, these ball plungers are sturdy and durable. WIDELY APPLICATIONS Widely applicable for mechanical devices, clamps, molds, automatic machines, etc. 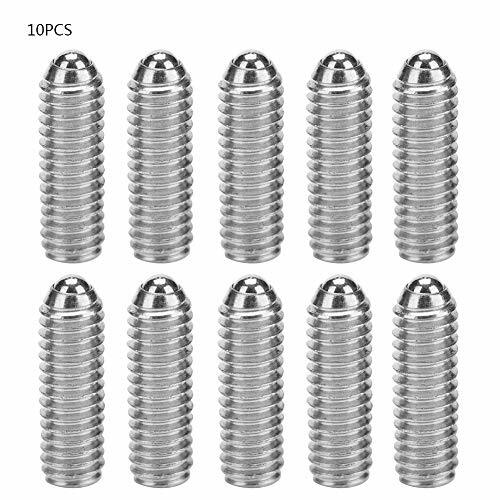 GREAT REPLACEMENTS They are great parts for providing pressure and accurate positioning. Easy to install and convenient to use. 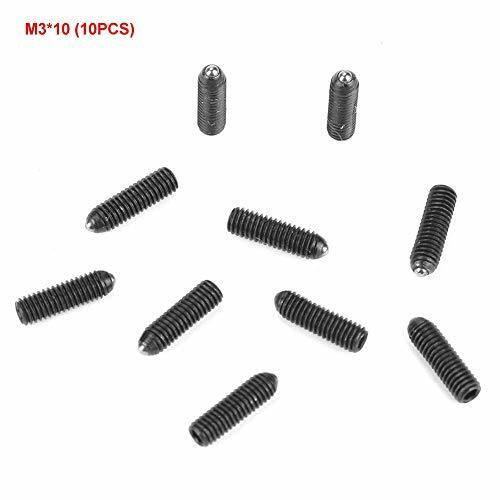 10PCS There are total 10 pieces of ball plungers in one set that you may use for many projects. SATISFACTION GUARANTEE All products sold by Walfront, we will give the strict assurance of the quality, if there have any quality problems, please contact us. 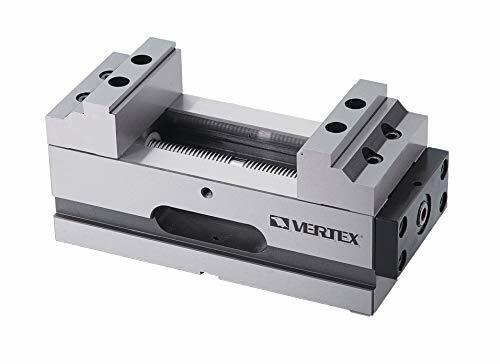 Vertex 4" self-centering CNC vise is suitable for 4 or 5 axis CNC machines. Reversable jaw. Repeat clamping tolerance is +/-0.0004"/0.01mm. FCD 60 high tension cast iron slide way has a hardness of HRC 45. Interchangeable jaw heat treated to HRC 50. Lock down design to keep work piece from lifting. Jaw depth is 1.57". Jaw width is 3.98". Jaw opening is 5.2". Clamping capacity is 2.44-7.56". Maximum clamping force is 400 kgf. Torque for clamping is 2.6m/kgf. Made of high carbon steel, high hardness, high strength, wear-resisting and long service life. The motion of the ball is driven by a spring of certain pressure, which makes the equipment run smoothly. Good positioning tools and jigs, can holds the plunger body securely in place. Widely used in some medical equipment, lubrication equipment, pneumatic tools and other products.